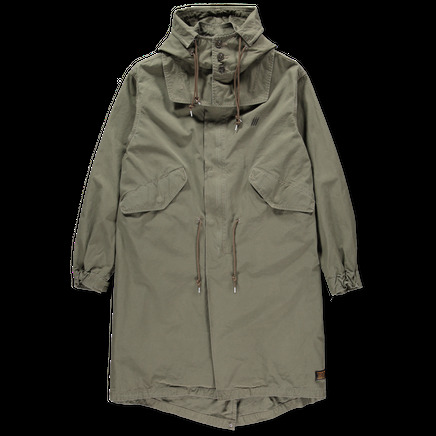 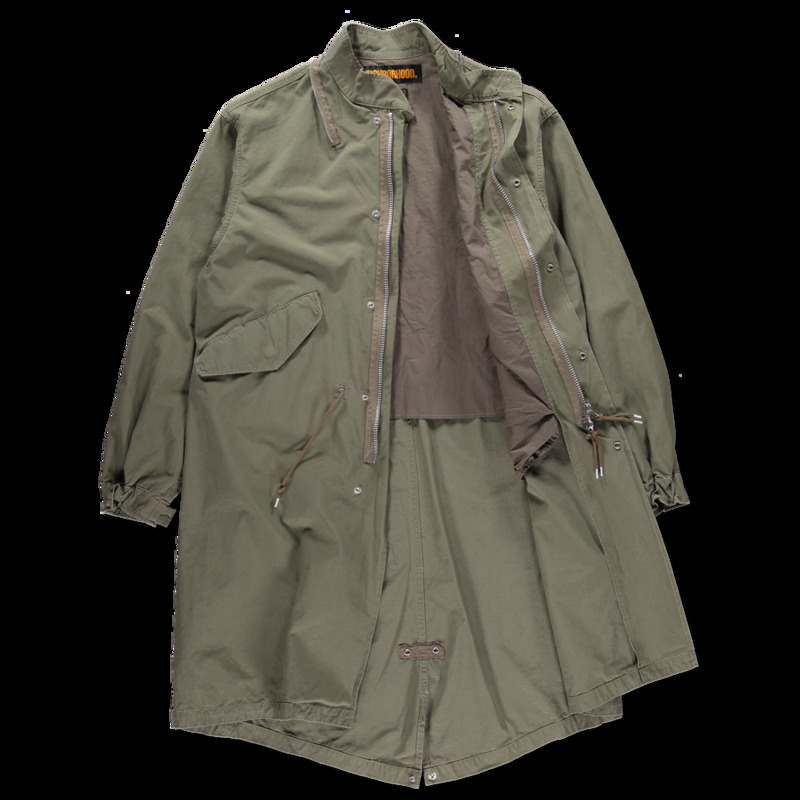 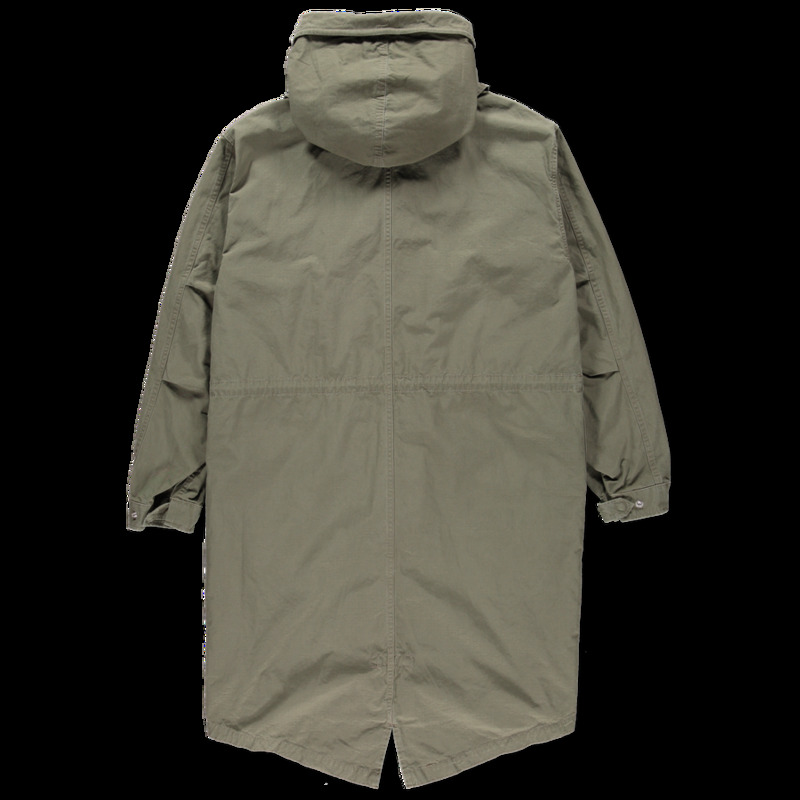 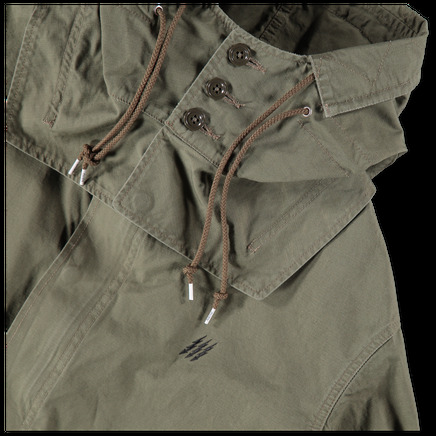 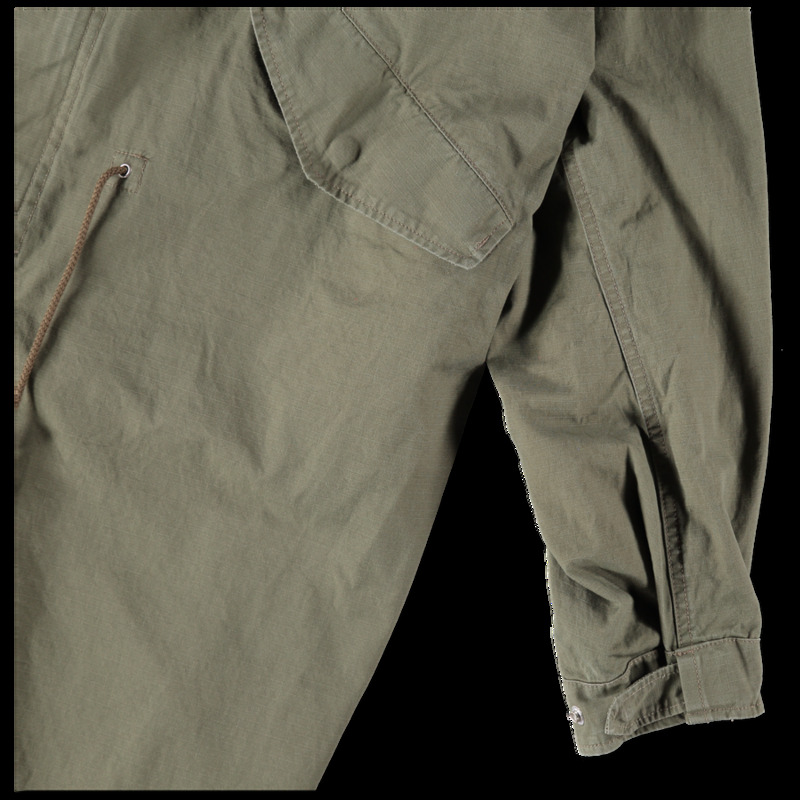 Knee length military parka in a dense cotton fabric. 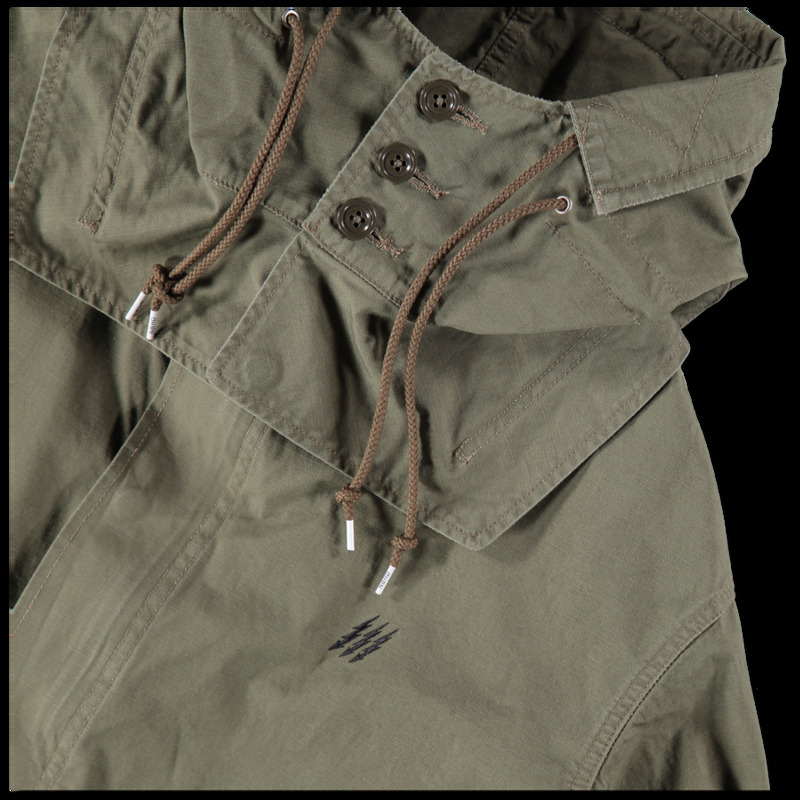 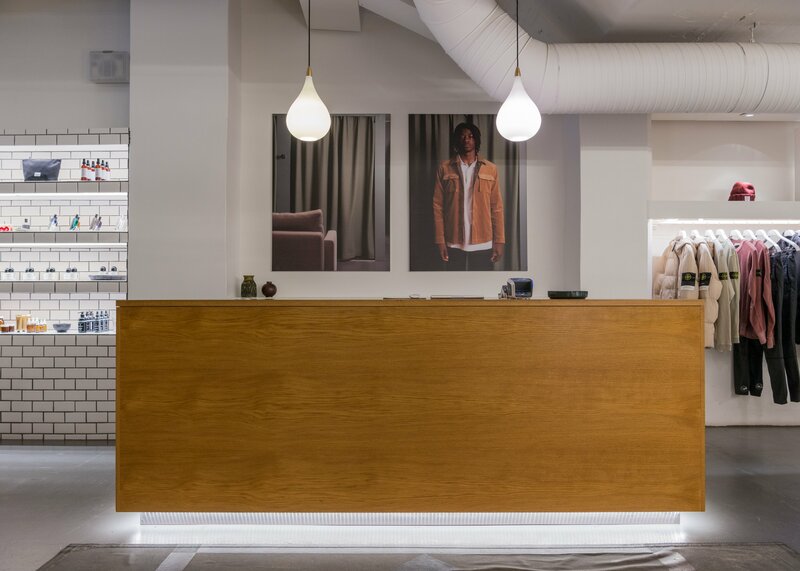 Concealed press stud and zip placket, detachable hood and foldable rear with button fastening. 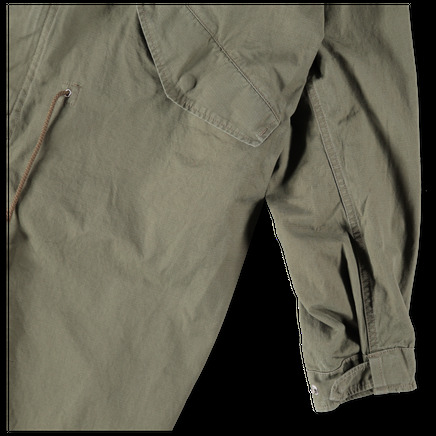 Lightly lined, button closure flap hand pockets and small chest embroidery.